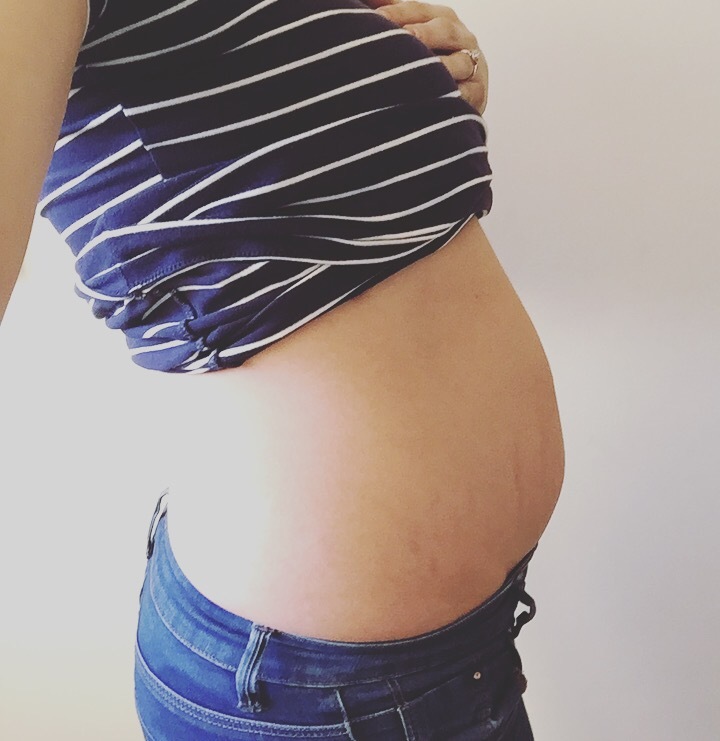 So, I’m 14 weeks pregnant tomorrow and so far I’ve struggled a little this pregnancy. I don’t really throw up, as a rule, but my nausea has been awful from very early on and it only just seems to be easing off now. I’ve also been absolutely shattered most of the time and sometimes I can’t find the energy to get up from the sofa, which isn’t really the best feeling when you have two children already who seem intent on destroying the house whilst you rest. 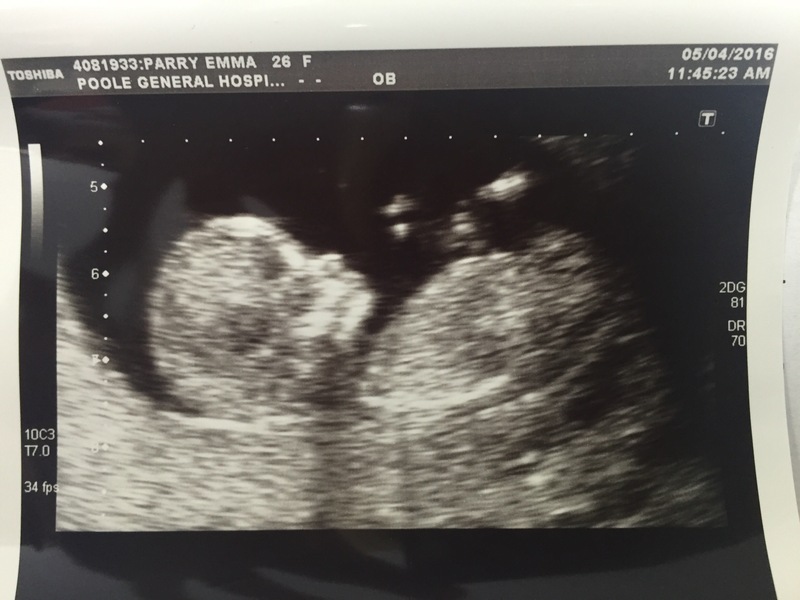 It’s always a little nerve wracking as well as exciting, going for the 12 week scan. I was relieved to see baby moving around on the screen and doubly relieved to find out it was definitely just the one baby in there as my rapid weight gain had worried me it could be twins. The picture was really clear but we’re still none the wiser whether it will be team blue or team pink this time round. Carly’s adamant it’s a girl but mothers’ instinct is saying boy. We shall see, our 20 week scan is scheduled for the end of May so not too long to go now until the big reveal (as long as baby plays ball that is). Obviously the main thing is everything is healthy. I had a little scare last week when I had severe pain from my left hand side round to my back. A trip to A&E didn’t give me many answers but luckily the pain stopped and I was given a mini ultrasound at the hospital bed to reassure me everything was ok with baby. My baby bump is definitely showing now. I’m surprised to still fit in my skinny jeans (albeit with the good old hairband round the button trick keeping them done up) but guess it won’t be too much longer until I need to use the maternity jeans. The baby is currently the size of half a banana apparently so I think half of my stomach is down to the extra food I’ve been constantly eating over the past few weeks. It seems I have an insatiable appetite (I blame baby but it’s totally me). The main cravings have been fizzy worms, chips covered in vinegar and fruit.